Dr. Janet Blanchard, among the best plastic surgeons in Cleveland, OH, believes that establishing a relationship with her patients is the best way to achieve the results they’re really looking for. She realizes that half of a successful plastic surgery procedure is about building trust and confidence with your plastic surgeon. To this end, Dr. Blanchard makes your consultations a warm and friendly experience, where it’s easy to establish a real discussion about the kind of cosmetic results you’re after. Other plastic surgeons in Ohio, in and around Cleveland, simply don’t make the same level of commitment or offer as full a range of services as Dr. Blanchard. The other half of a great plastic surgery treatment is skill and knowledge. Dr. Blanchard has a been a board certified cosmetic surgeon in Cleveland for 25 years. She’s considered a top authority when it comes to the Short Scar Facelift in Cleveland. The short scar facelift (or S-Lift) is a mini facelift option that offers a less invasive alternative to full facelifts. Besides short scar facelifts, this Cleveland plastic surgeon has expertise in Rhinoplasty, Tummy Tuck, and Breast Augmentation. Dr. Blanchard welcomes guests from throughout greater Cleveland, including Euclid, Mayfield, Beachwood, Mentor, North Ridgeville, Lakewood, and south to Akron and Canton. For Breast Augmentation, Tummy Tuck, or S-lifts, Dr. Janet Blanchard offers the knowledge and technology essential for a successful Cleveland plastic surgery experience. It is important to listen to a patient's concerns and needs, not only for the procedure itself, but for the patient themselves. 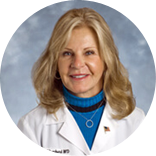 Dr. Janet Blanchard - Blanchard Plastic Surgery offers Consultations at a nominal fee. Interplast, Inc. - Volunteer mission for operating on patients with cleft lips, palates, and various deformities in South America.